National and International Road Haulage.Storage and distribution. 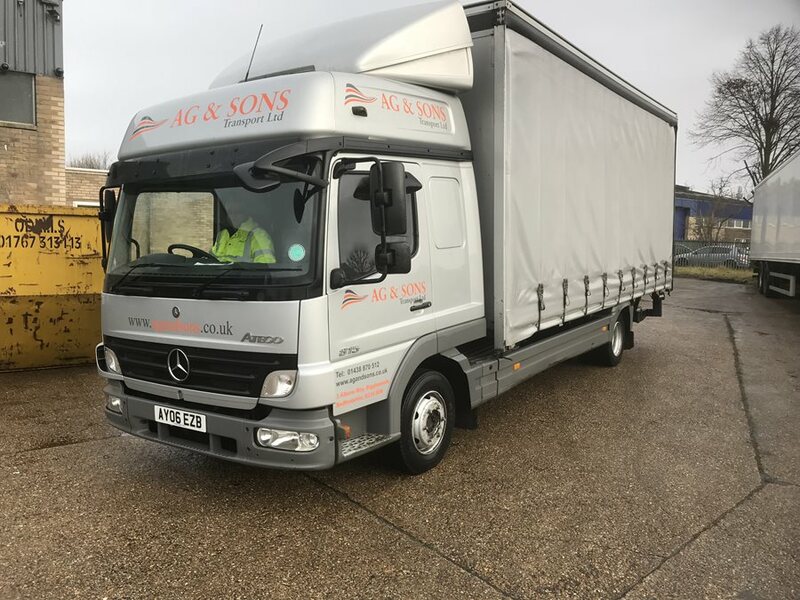 AG & Sons Transport Ltd - the newly established delivery service - branch of a successful, family run haulage firm. Our Company Directors offer over 40 years experience in managing transport and haulage companies with a very much hands on approach. From purchasing their first trucks in 1976 to operating fleets of 40+ vehicles, the company is always going to be in good hands with people who know how to look after your products. Utilising our experience and knowledge of the haulage and shipping freight industry, the network of contacts we have built up nationwide, gives us the ability to outline customers' needs in the most cost effective way. As a modern day transport and haulage company, offering a same day delivery service across the UK and Europe, we make you our priority. We offer businesses the opportunity to be safe in the knowledge that their products are being looked after, from collection to delivery, whether it be a local same day emergency parcel or 100 Pallets to be distributed via shipping freight across Europe from our secure premises, we can cover it all. Extensive experience in commercial and home deliveries means we can offer a service to match expectations. This enables us to always deliver over and above customers requirements. When you need to display trust and integrity, we are the hauliers you can rely on. Our enthusiastic team will ensure you and your clients are 100% satisfied with our service, with a dynamic approach to customer retention, relations and quality.